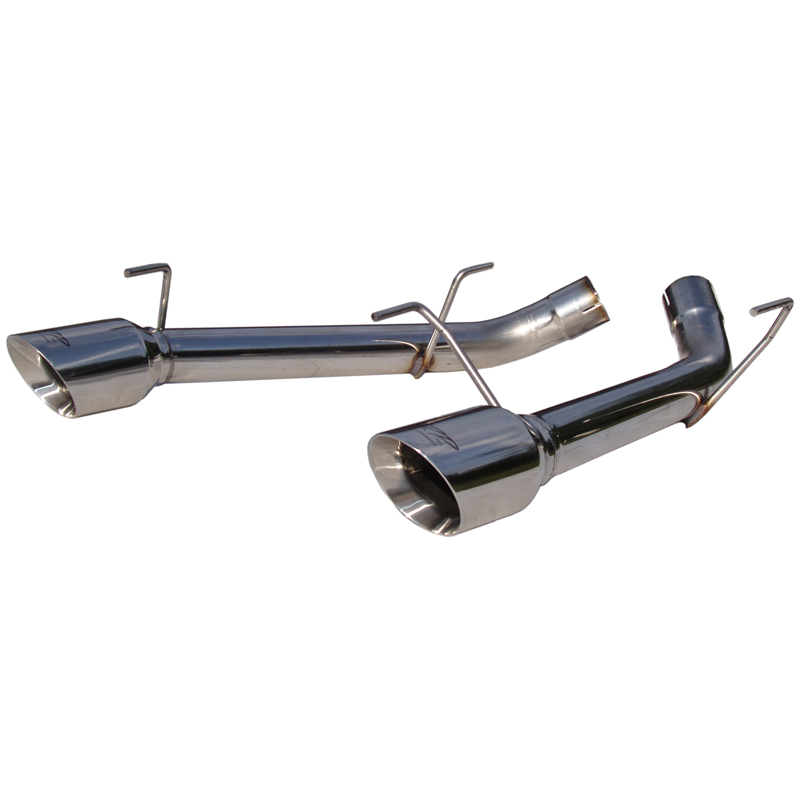 MBRP 2005-2010 Ford Mustang GT dual axle back muffler delete is made from T304 stainless steel and designed to replace your factor axle back mufflers. MBRP's Pro Series is the best performance exhaust system that money can buy. It is a series designed and built for the serious enthusiast who will settle for nothing less. Constructed from T304 stainless steel it delivers you optimal durability that keeps on looking its best. Easy to clean and maintain this is the product of choice for owners of lifted vehicles, show trucks or who operate in severe environments. 2005 2006 2007 2008 2009 2010 GT Shelby GT500 Shelby GT500KR V8 Mustang Steeda Roush & Saleen Vehicles.